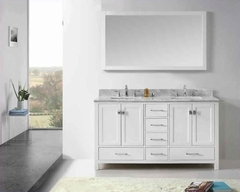 Homelegance Dresser and Mirror Townsford EL2124-56. The traditional style Townsford dresser and mirror features unique turnings. The rich dark cherry finish on cherry veneer further compliments this elegantly understated offering. Antiqued pewter hardware accents each case piece as does the bun feet that provide support. 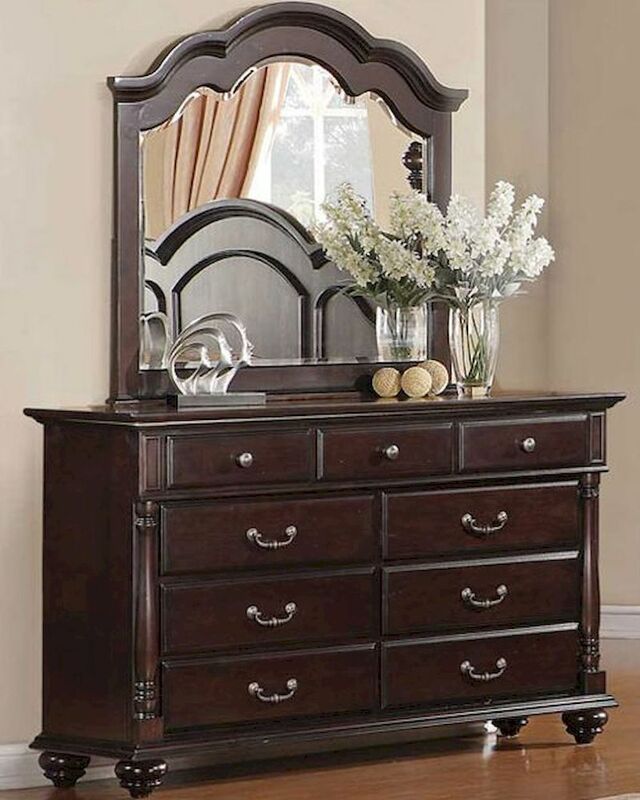 Dresser - 64"W x 18"D x 40"H.
Mirror - 46"W x 2"D x 42"H.
Solid wood and cherry veneers construction.